Make Easter memories lasting all year long with TopLop deliveries! The Holy season you can’t miss is here! 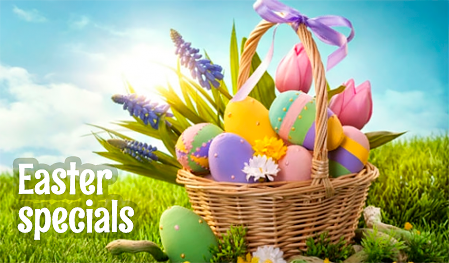 Easter is the time of new beginnings, re-awakening and the joys of Spring, perfectly captured by the spirit of Lilies that are available for the delivery. Our Easter Gift offers are sure to delight your lady including adorable Easter gift baskets full of sweet treats and classic soft Easter bunnies with the set of chocolate eggs. Easter gifting is easy with our service. Everything you need to make is a meaningful gesture to your loved ones.